Julian Assange declared himself an admirer of Rand and Ron Paul for their principled position on defending Wikileaks and himself to Congress, opposing drones and coming from a Libertarian tradition of non-violence. He stated that the position of non-violence produces interesting results, including “don’t go invade a foreign country”, “don’t make people join the military”, “don’t extort taxes from people”, and “similarly other aspects of non-violence in relation to abortion-that they hold”. Also note that Julian Assange did not declare his own position on abortion. He described Rand Paul’s position in the context or as an outcome of the non-violence value of the Libertarian tradition. 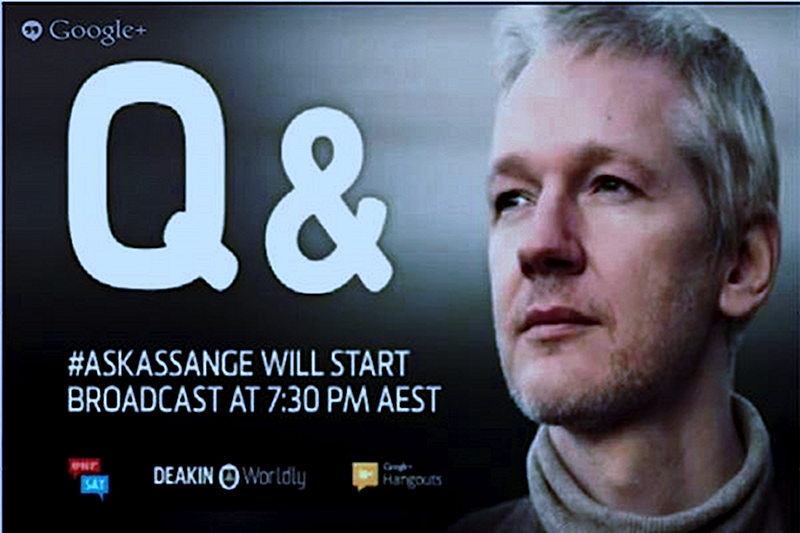 24:50 Assange receives question on: How do you interpret swell in support for Libertarians in US- how does it pertain to our future?